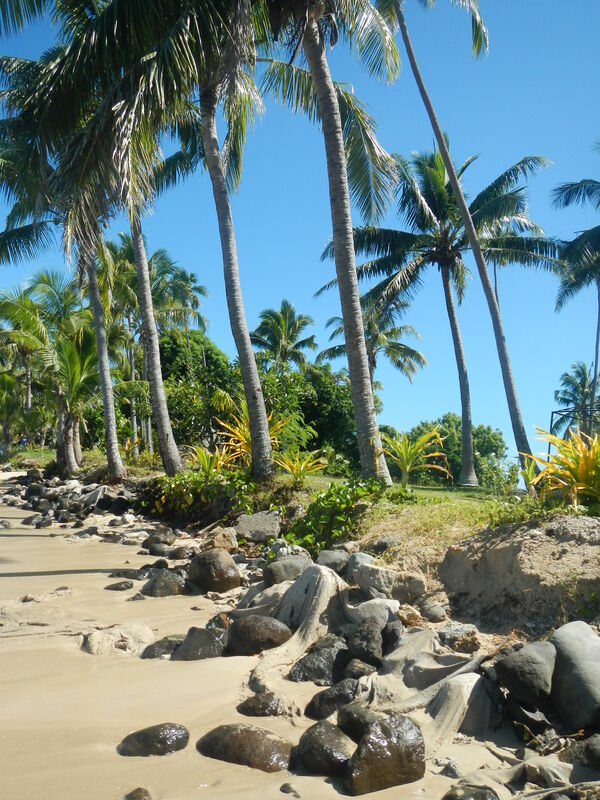 On our most recent stop in Lautoka, Fiji our Cruise Director, Luke, organized a cruise division outing to a nearby resort called First Landing. 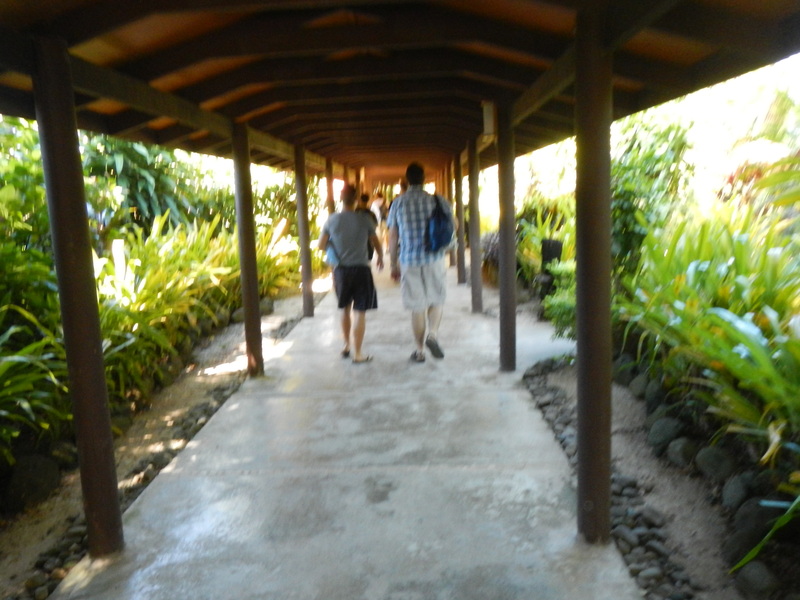 We had shuttle service to and from the resort, as well as a buffet lunch. 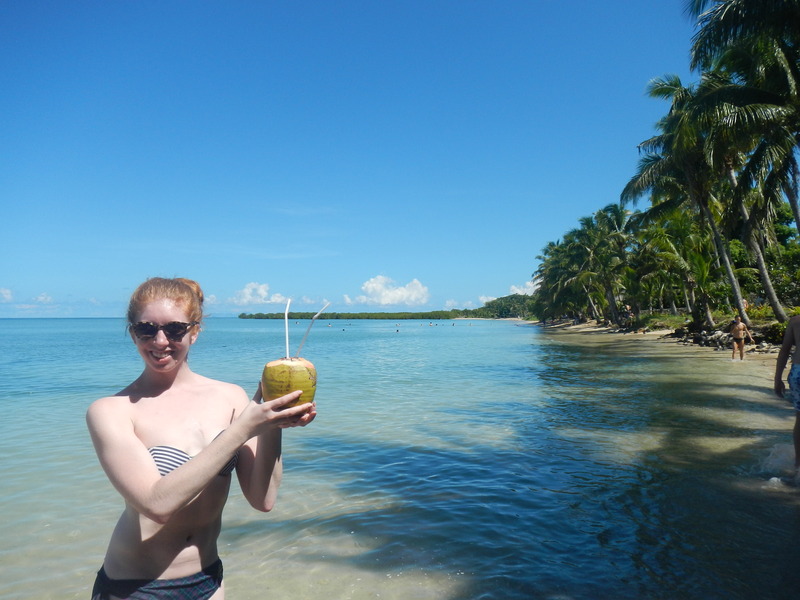 This was the first day I was able to get off the ship in Fiji, and I loved every minute of it! 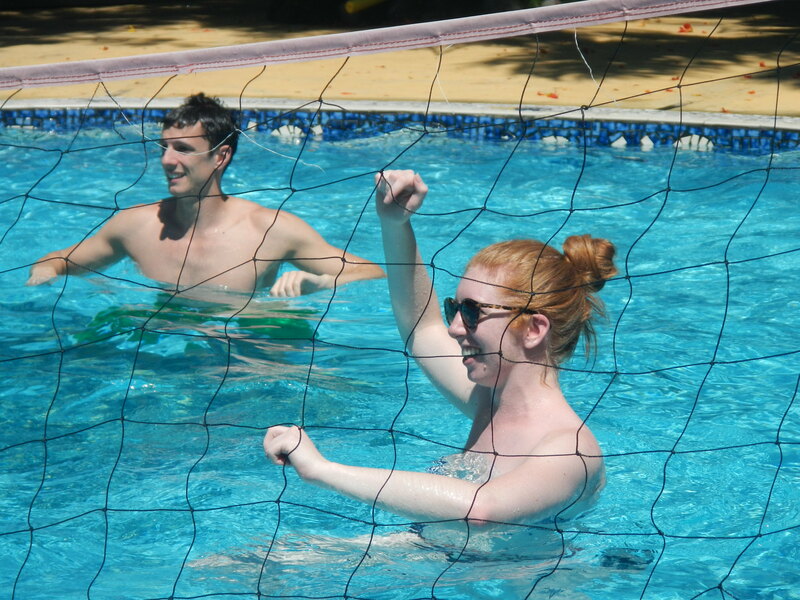 The resort had a large pool with a volleyball net, an outdoor bar, attentive albeit slow servers, beach access, kayaking, and even a small putting green. I started the day with a dip in the pool, and soon after grabbed a cocktail. After a game of volleyball, I joined some friends on a stroll down the beach. The tide was in, so there wasn’t much sand, but the water temperature was perfect for wading in. Lunchtime came quickly, and was followed by an attempted nap by the pool. There were too many distractions, so I quickly gave up and went to watch some of my friends attempt to kayak. Some were more successful than others! Next time I’m in Fiji I’ll give it a shot myself. The afternoon ended with a drink on the beach and another brief swim in the pool. The bus ride back to the ship was slightly uncomfortable because one of my cast-mates dunked me in the water just before we left, but the day overall was practically perfect! I’m looking forward to returning to First Landing next cruise!